There are many more available, but The Jam and The Who vintage gig posters by Bad Moon Prints are probably of most interest here. 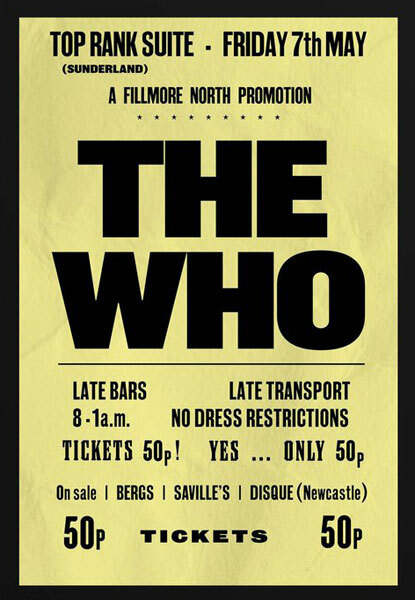 Gig posters of the past were fairly mundane affairs, pretty much made to a template, with only the details tweaked for each band or date. Yes, a couple might have changed the font or used a band logo, but really, if you look at old photos from the 1960s or 1970s (or if you are old enough to recall them) you will realise that they rarely veered too far from the standard. But they have great appeal as pieces of nostalgia or if you are a fan or the band, memorabilia. I have seen a number of these go for decent money at auction. So remaking them seems like a decent idea. The two posters here (and many more) are courtesy of Bad Moon Prints, a small operation based in the north-east of England reproducing advertising posters for gigs both in that area and beyond. One of the people behind the company worked at the venues and has original material, with other designs picked out from local newspaper archives. Having the originals means an attention to detail, both in the look of the posters and the details of each gig. These are period perfect. 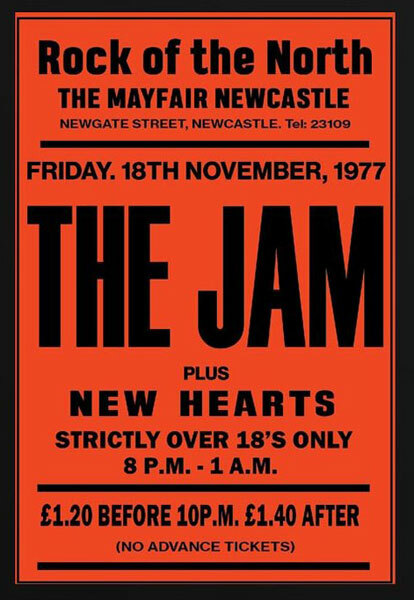 So if you want a poster of The Jam or The Who that might well pass as an original once in a frame, do check these (and maybe the others) out. Each is sized at 30 x 20-inch (the original size) and each is available to buy now for a reasonable £19.50 each. 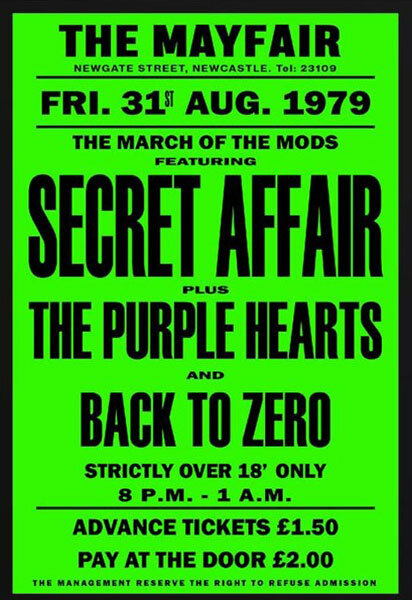 Update: The same company has just added a March of the Mods 1979 tour poster to its range, featuring Secret Affair, The Purple Hearts and Back To Zero. Like the others, it is available online for £19.50. Details of this one can be found here.